ARIEB AZHAR performed NA RAINDEE HAI in the first episode REASON of the COKE STUDIO SEASON 3. Arieb Azhar's recital of 'Na Raindee Hai', a twelfth century kalam penned by mystic Baba Bulleh Shah was just awesome with a young feel. 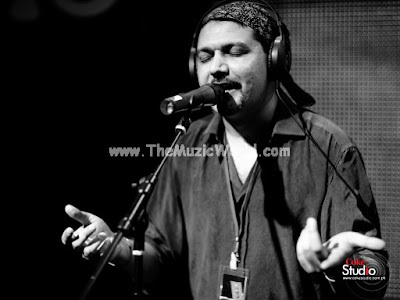 Arieb Azhar was the first artist to be contacted, the first whose rehearsals, recording, editing and mixing took place. It was all by sheer coincidence and it was deemed fitting that Azhar starts the season. The music for ‘Na Raindee Hai’ was composed after listening to the lyrics Azhar brought on Rohail Hyatt’s request to do a poetry recital, and has been kept lounge-esque to maintain a reflective quality. To download the song NA RAINDEE HAI by AREIB AZHAR ( COKE STUDIO 3 ), click on the links given below. To listen the song, click on the blue PLAY button. Thanks for this post.. cheers!